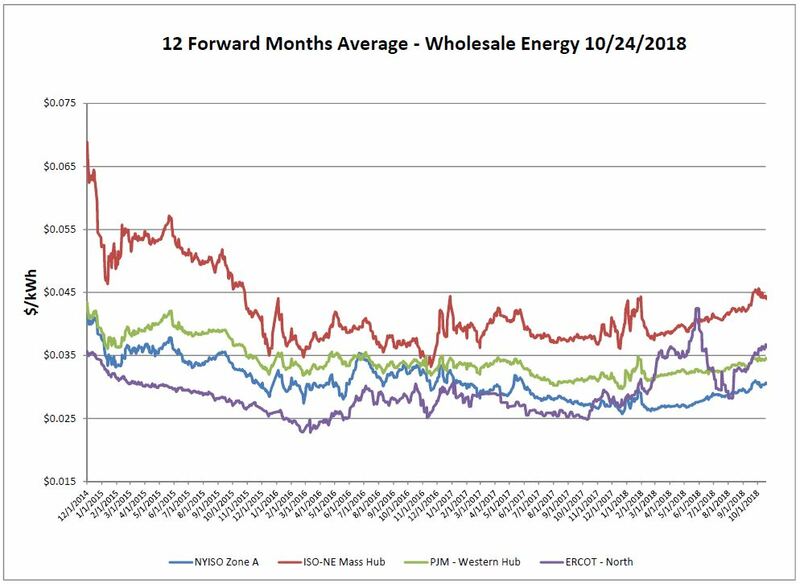 New York experienced isolated volatility in daily pricing but saw little change week over week in the forward average. Texas took another upward leap and is at its highest level since the first week of June. 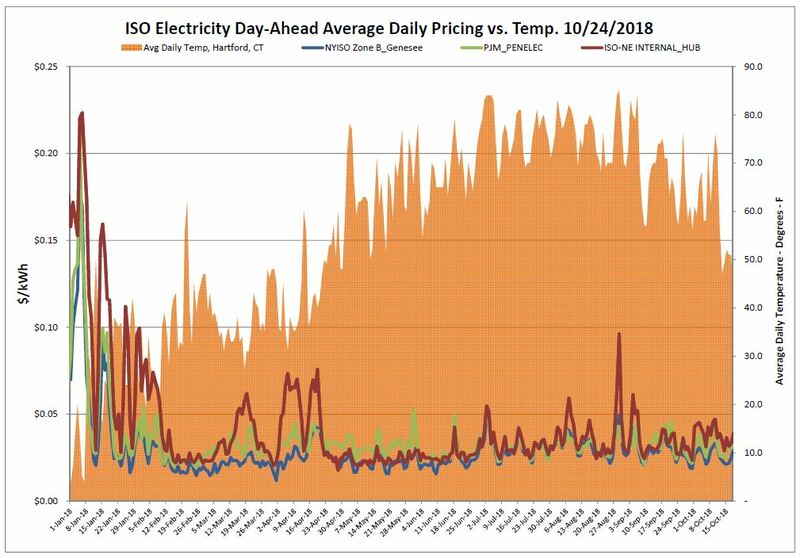 As predicted, temperatures fell below normal which caused price volatility across all electric markets. 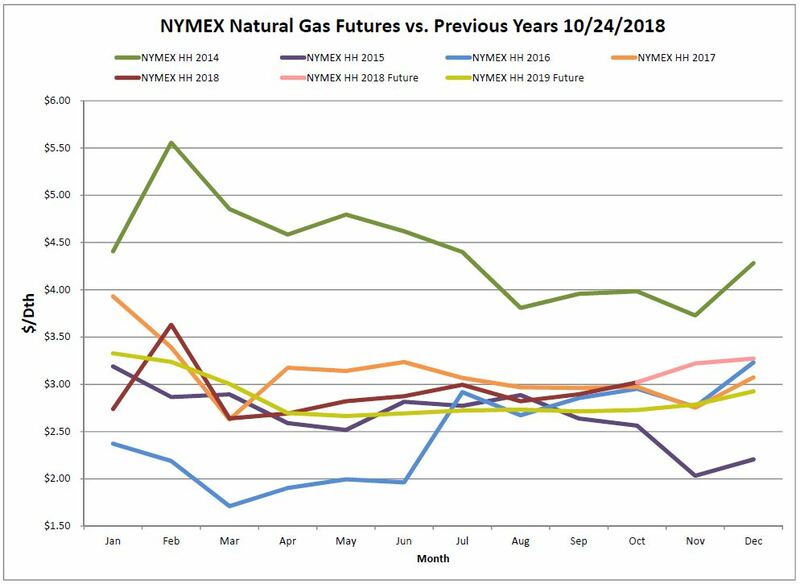 November continues to trend around the $3.20 mark, above October’s close of $3.021, and may break the trend of the last five years of a November drop in pricing. The NYMEX has come down for the upcoming winter months while a small trend upward can be seen for the summer of 2019. 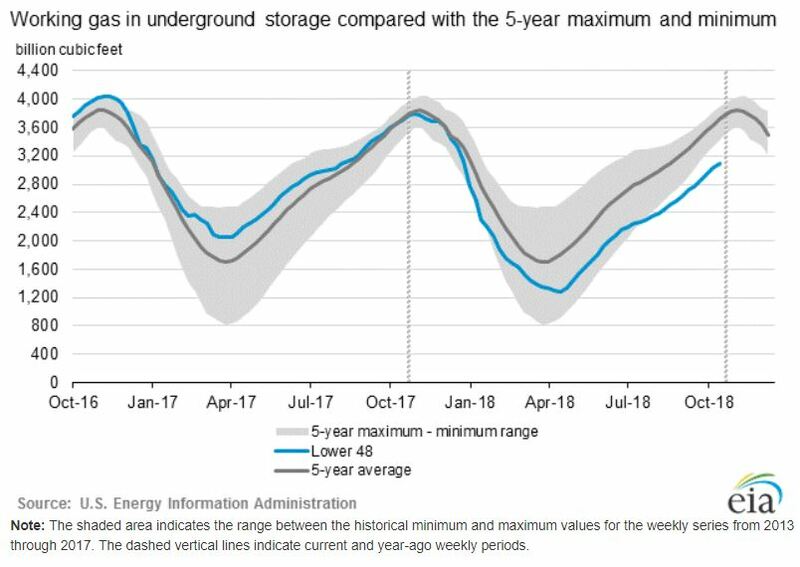 Working gas in storage was 3,095 Bcf as of Friday, October 19, 2018, according to EIA estimates. This represents a net increase of 58 Bcf, on par with expectations. Production hit an all-time high amid cold weather that more than doubled the heating demand from the previous week. Though this injection does not help to close the widening gap between current levels and the 5-Year Minimum, strong production is helping to mitigate the potential effects in the market. 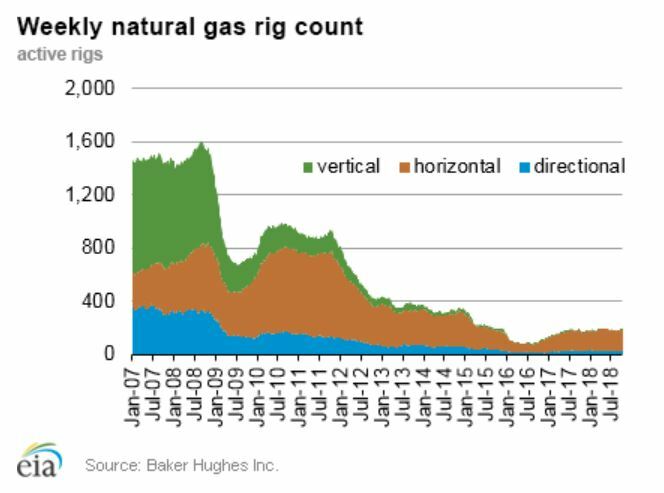 The Baker Hughes exploration gas rig count decreased by one this week to 193; this is 21 more than were in operation at this time one year ago. Weather forecasts anticipate warmer than normal temperatures along the East Coast and Western regions. 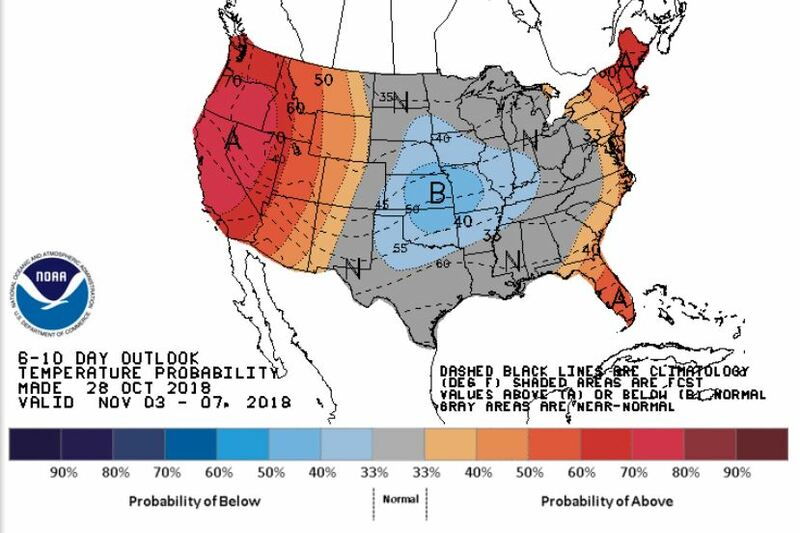 Normal to slightly below normal temperatures are expected for the Midwest and central South. Winter Outlook favors warmer temperatures for much of U.S.
A mild winter could be in store for much of the United States this winter according to NOAA’s Climate Prediction Center.